Be careful before blindly executing Nazir's assassination contracts - some of the NPCs are important! Be prepared for who you have to kill. Now that Hearthfire is out, it's time to get busy with construction and land ownership! A complete list of every enchantment in Skyrim, along with the pieces of apparel/armor that they are compatible with. Includes detailed descriptions of the enchantment effects! Need to know the hidden effects of all those ingredients that you've acquired? We have a list of every single ingredient in Skyrim, alongside all of their corresponding effects! Interested in learning about and locating all of the dragonborn shouts in Skyrim? We've got you covered! A complete guide on the locations of the infamous Words of Power. 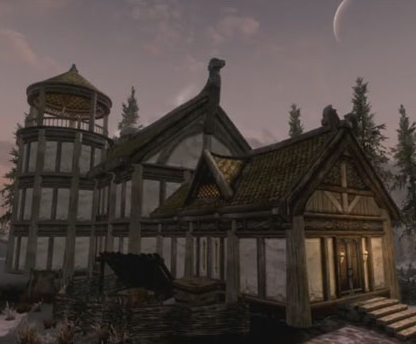 An in-depth guide to all of the fastest and most efficient methods of gaining levels in Skyrim. Every skill is included and explained in detail! Alchemy, Enchanting, and Smithing. On their own, you can do some pretty impressive things. However, if you combine the effects and bonuses of all three, Skyrim is at your disposal! One of Skyrim's most sought after collectibles are the Dragon Priest Masks. With this guide, you can find out where they are, what they do, and some tips and tricks for obtaining them. A table listing all of the possible characters you have the option of marrying in Skyrim. Everything you need to know on Skyrim marriage! Includes the benefits of married life, possible spouses, property arrangements, and The Bounds of Matrimony quest walk-through. A guide on vampirism in Skyrim. How you can become infected and cure your ailment. The benefits, weaknesses, NPC locations... It's all here!